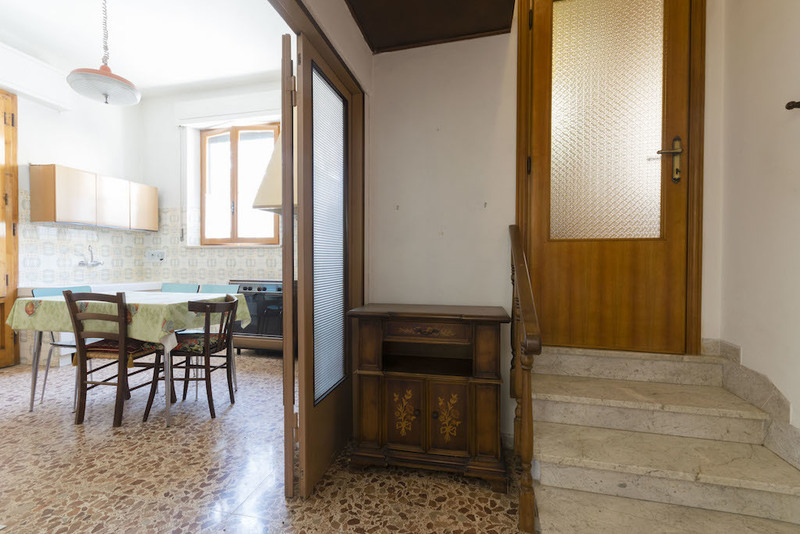 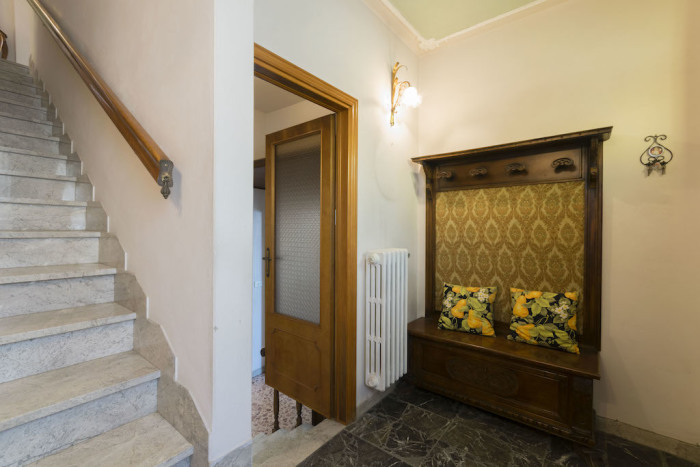 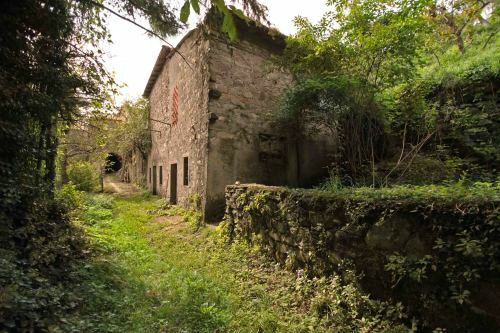 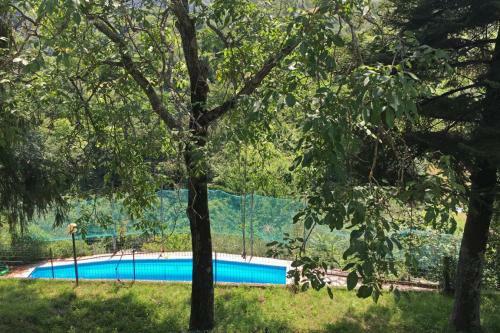 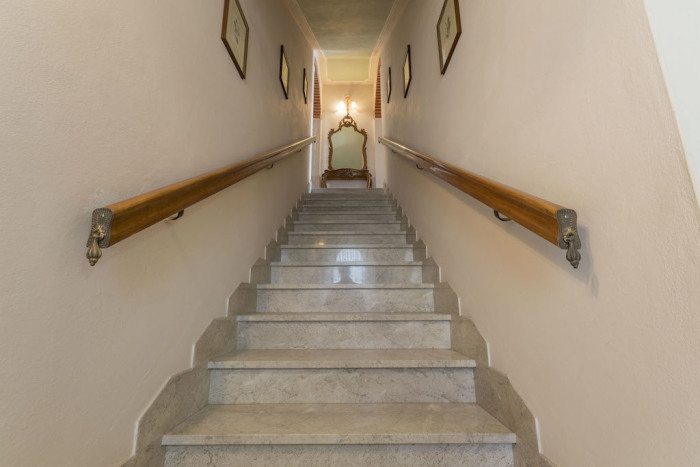 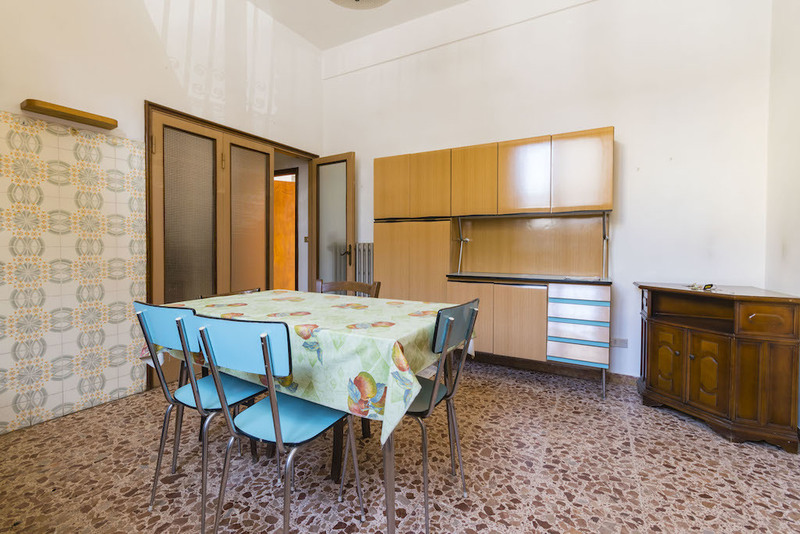 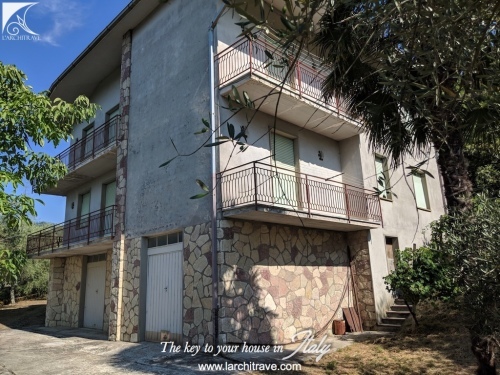 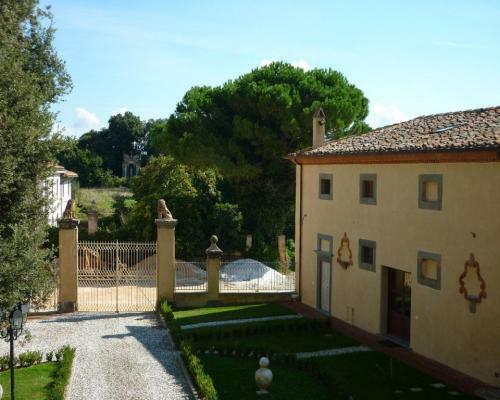 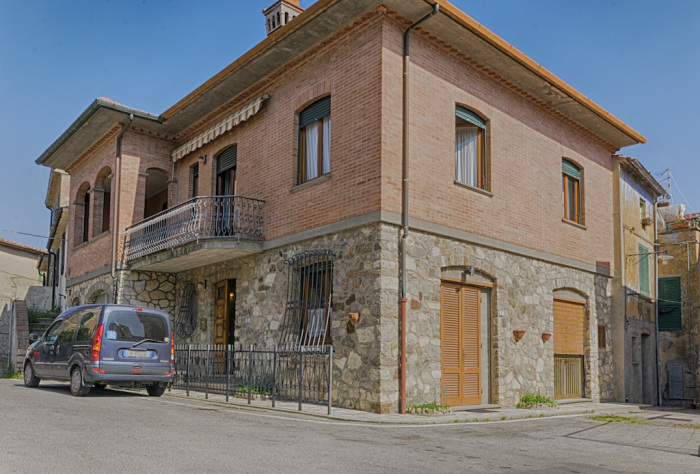 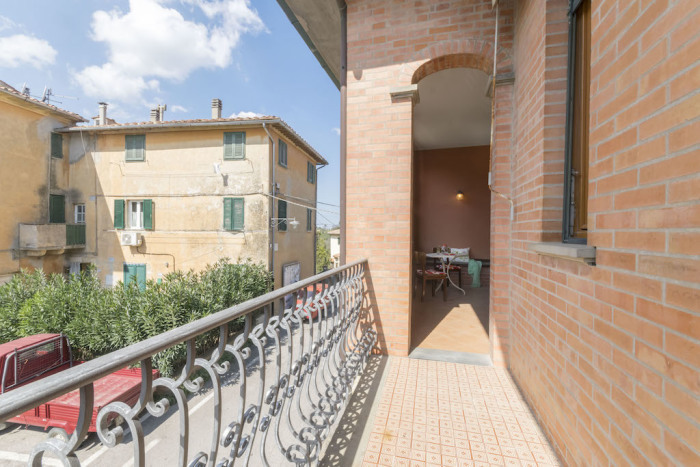 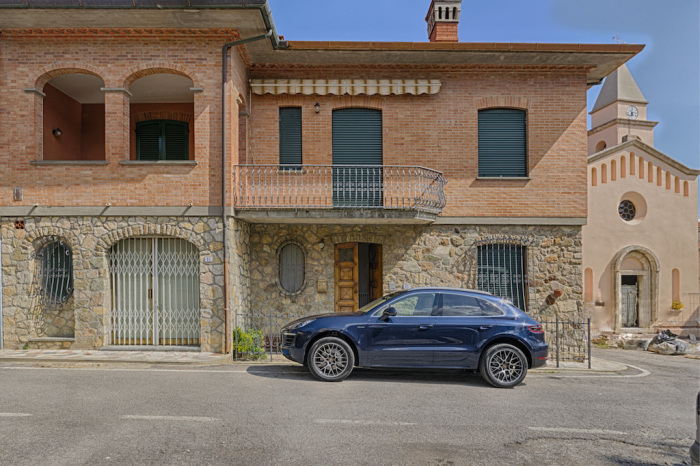 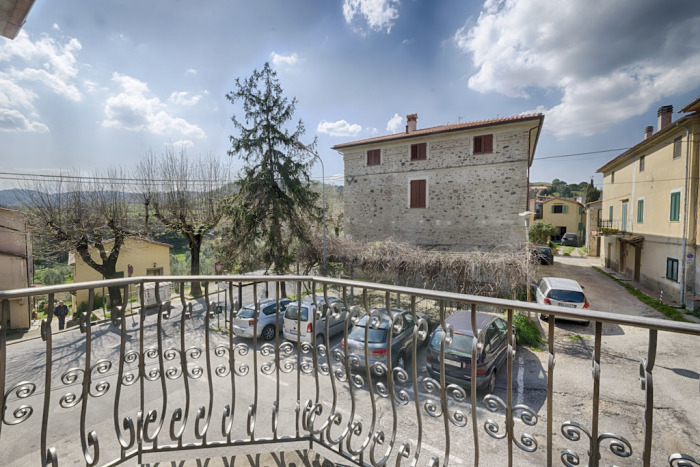 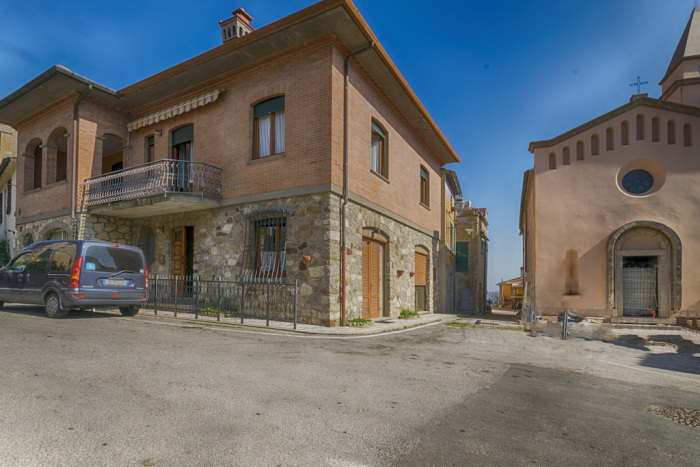 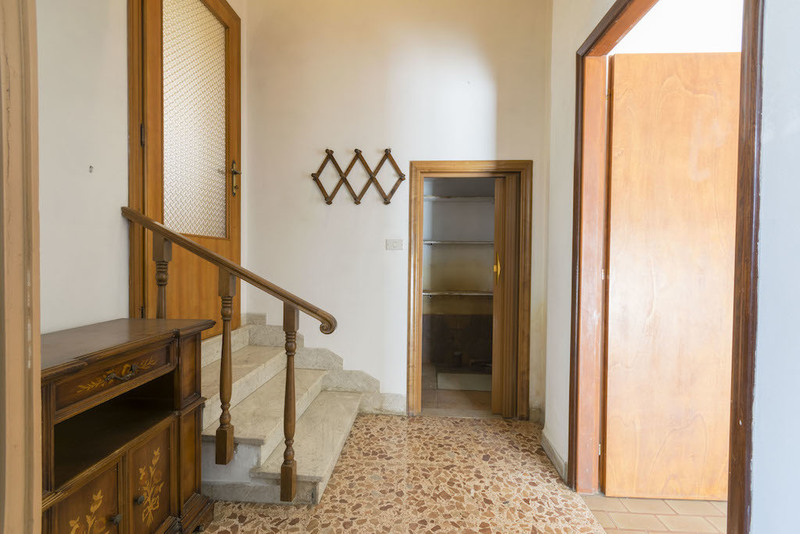 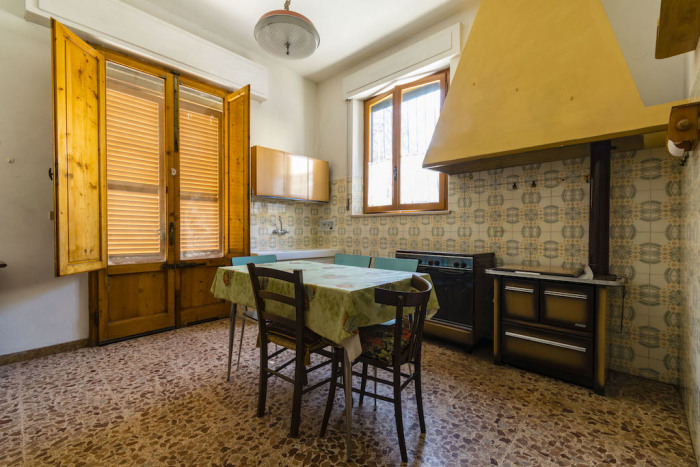 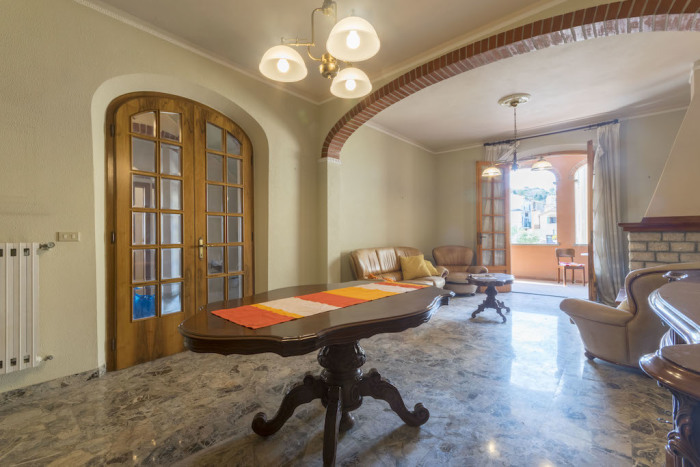 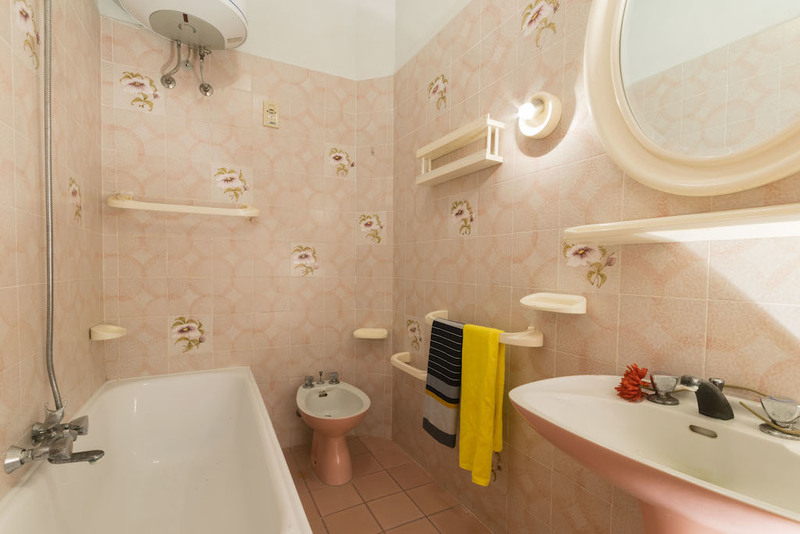 Set in the heart of the Tuscan hills of Casciana Terme close to the village square and the small church, spacious semidetached house with panoramic terrace. 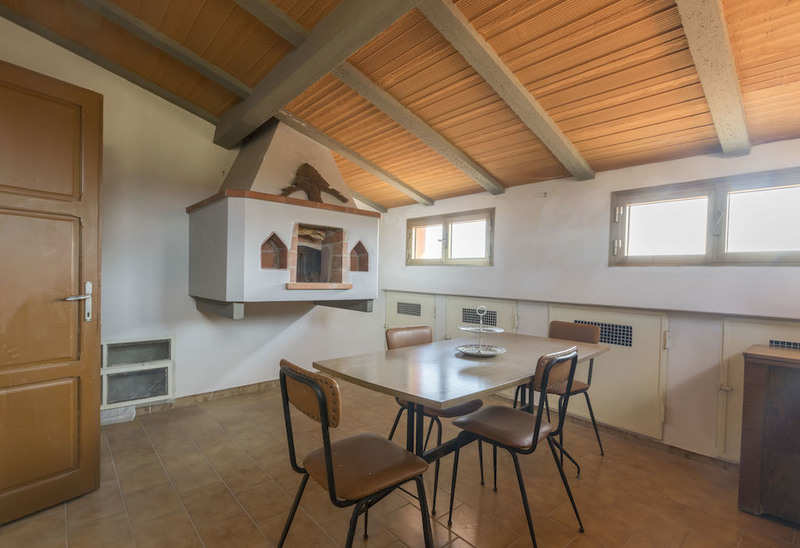 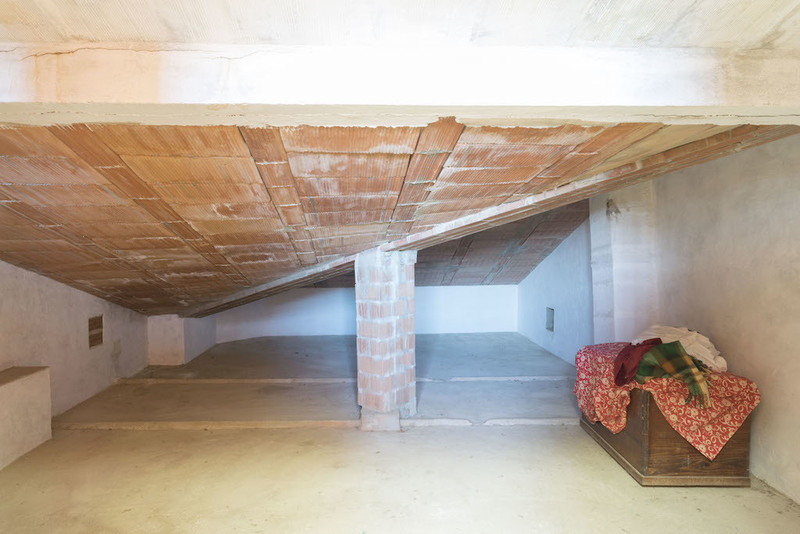 The house measure 190 s qm and lays on 2 floors, comprising a large area on the ground floor which can be used as a living area "taverna" or as a hobby room. 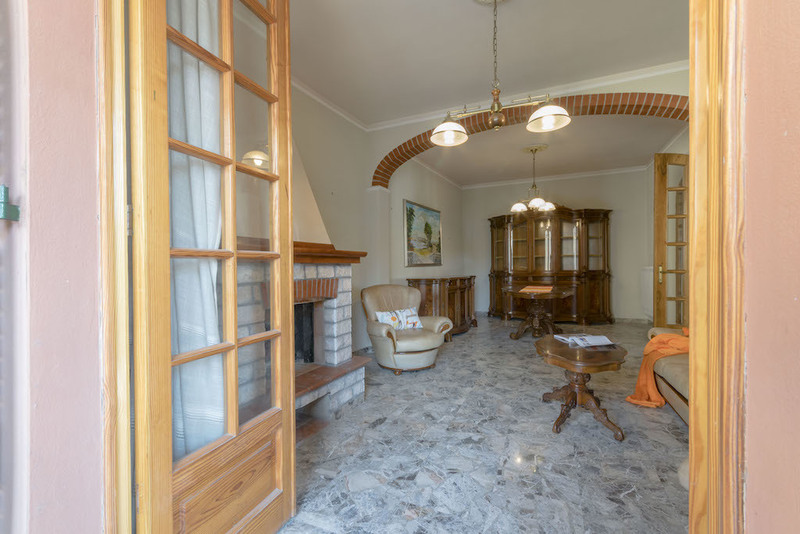 The main access to the house is through a large entrance hall with a staircase which leads to the first floor where there is the main living area: a living room with spacious sitting area and fireplace opening onto the loggia , a large kitchen/dining room also with fireplace and opening onto the terrace, 2 double bedrooms with panoramic windows and a bathroom. 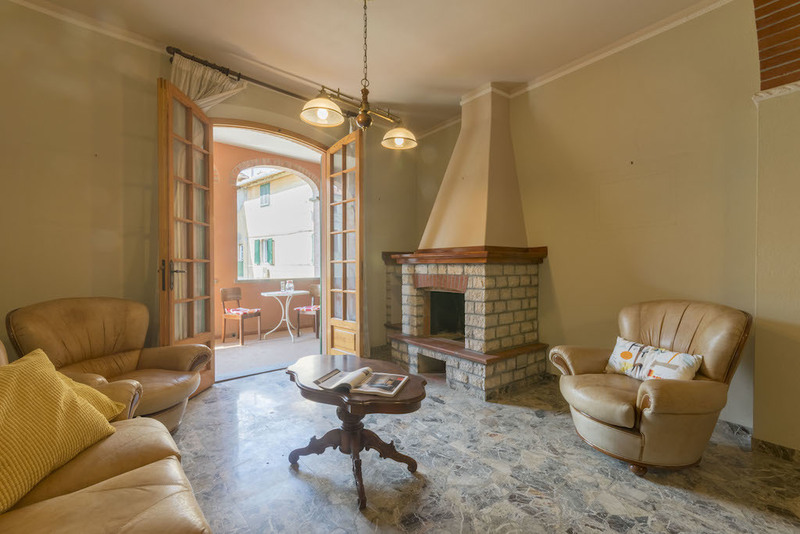 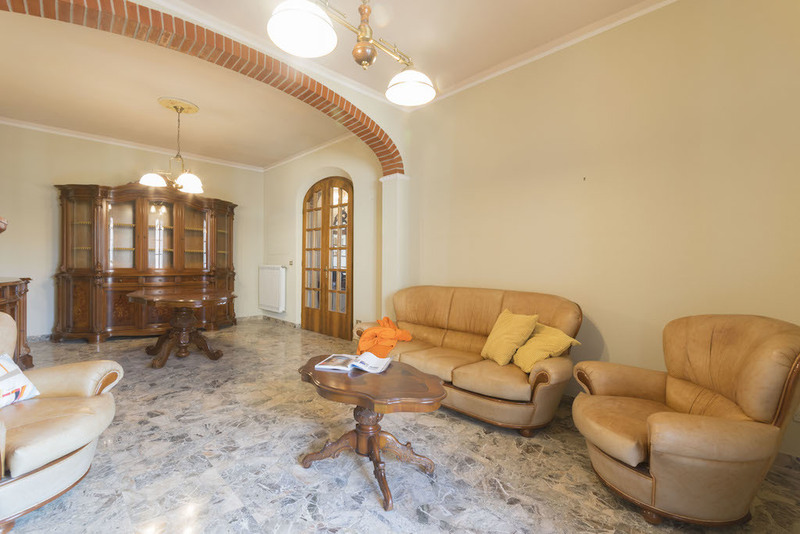 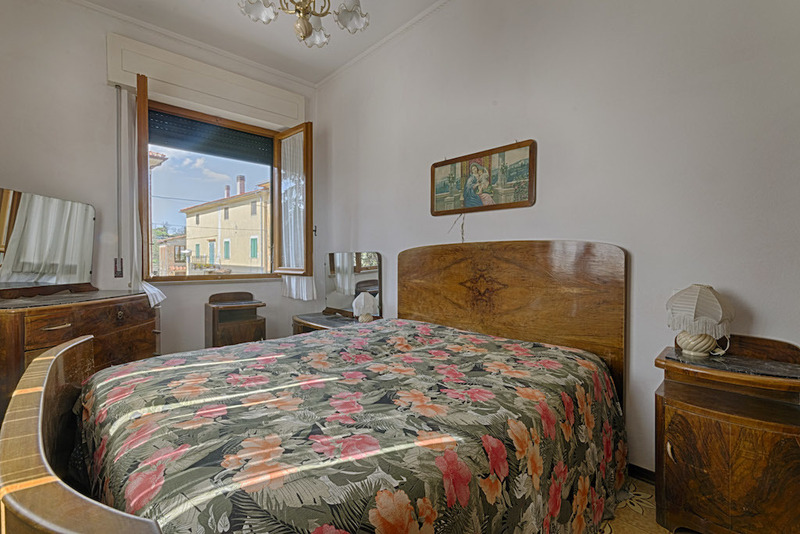 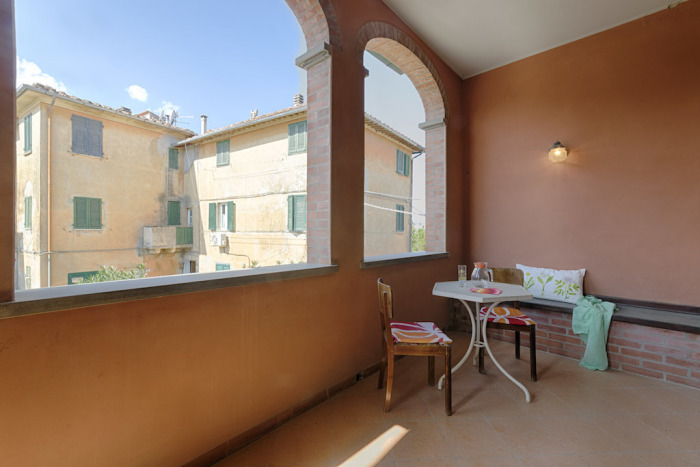 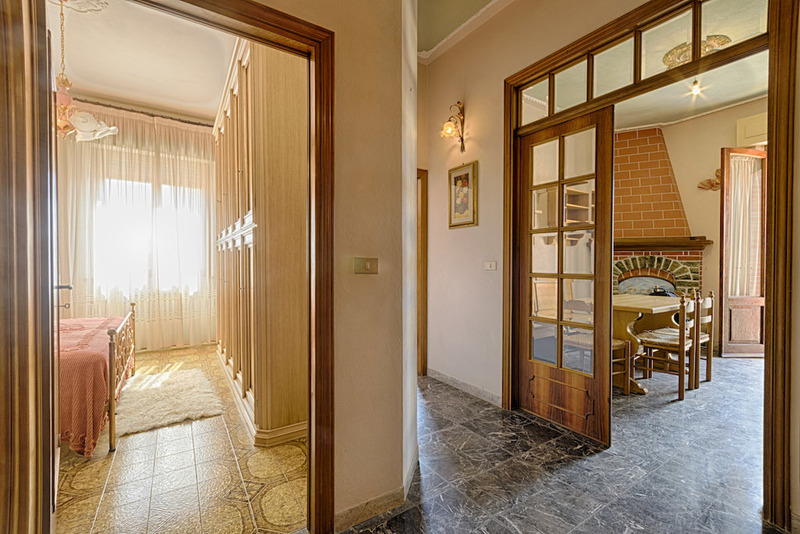 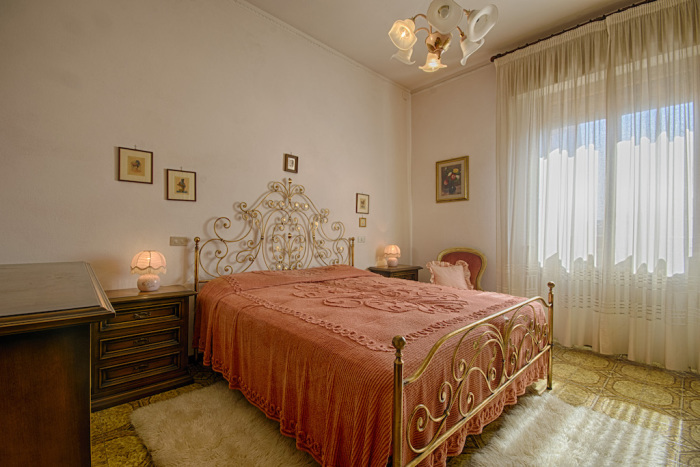 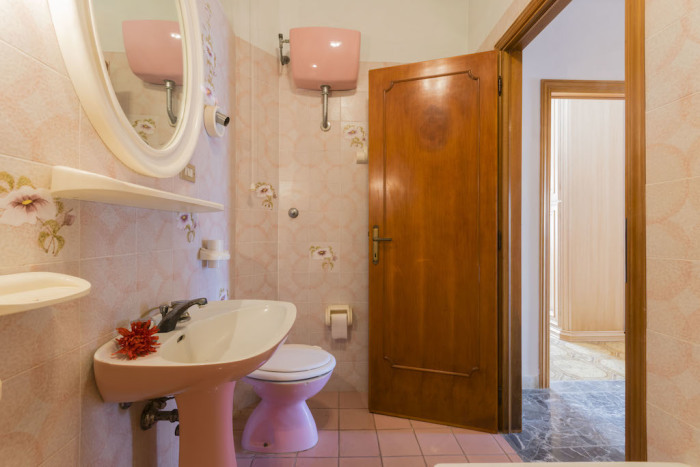 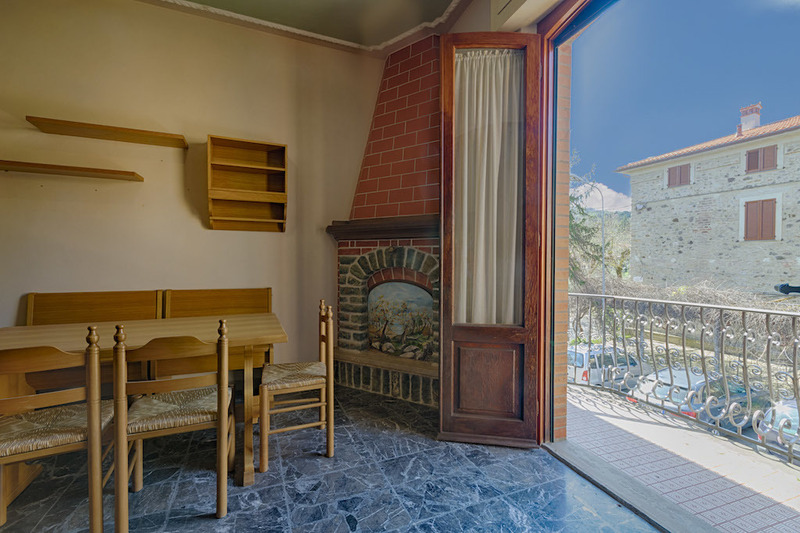 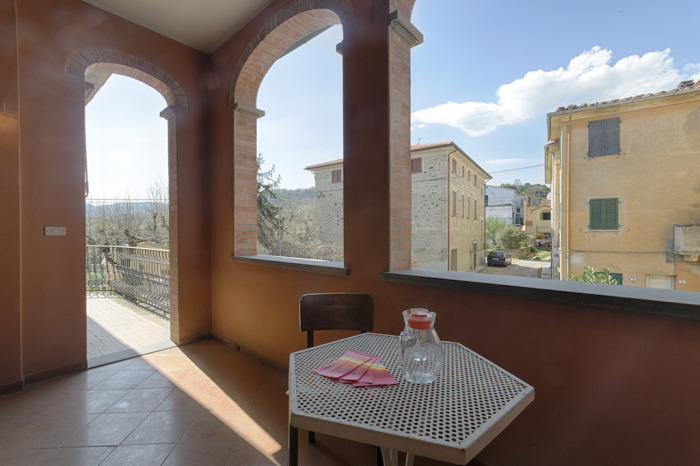 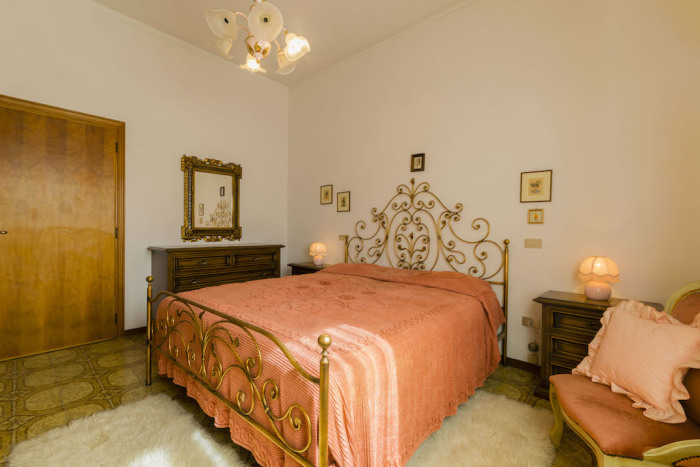 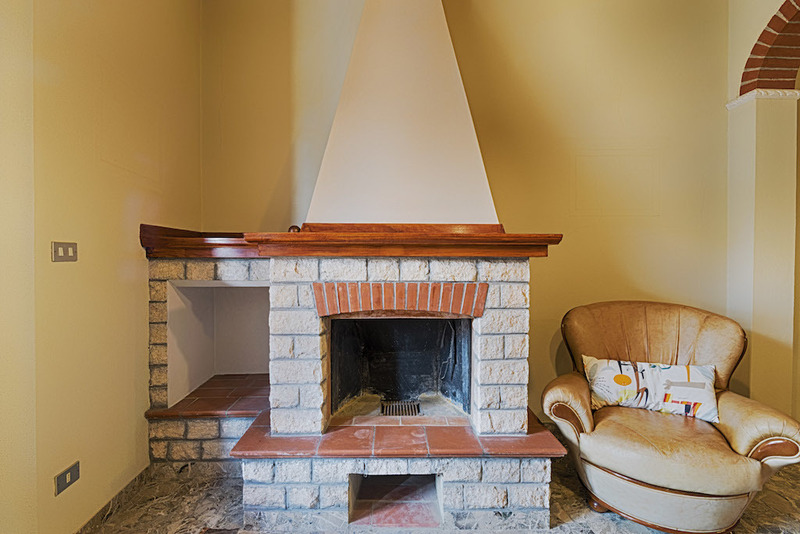 Set just 5 km from Casciana Terme that is a hot water spa town set amongst the vineyard and olive groves and close to the historical town of Volterra and under an hour from Pisa. 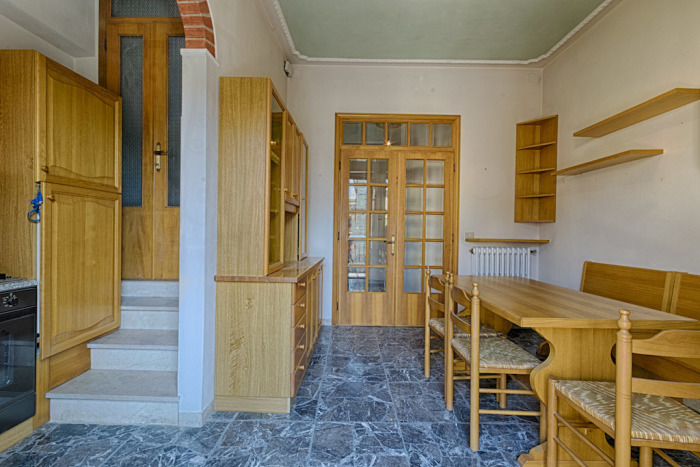 The property has been restored and can be lived in as it is. 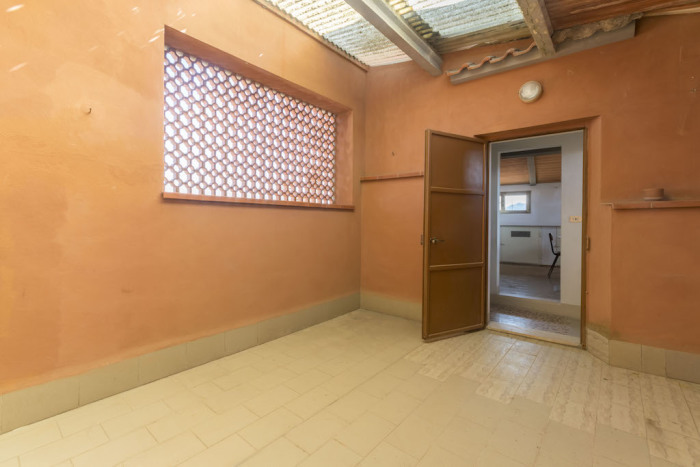 But it has a high potential for converting it into a bigger house using all the extra rooms on the ground and on the second floor which are all connected to each other. Classic warm atmosphere, in good condition, ready to be move in. 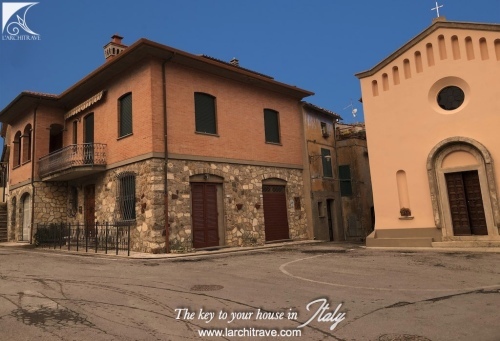 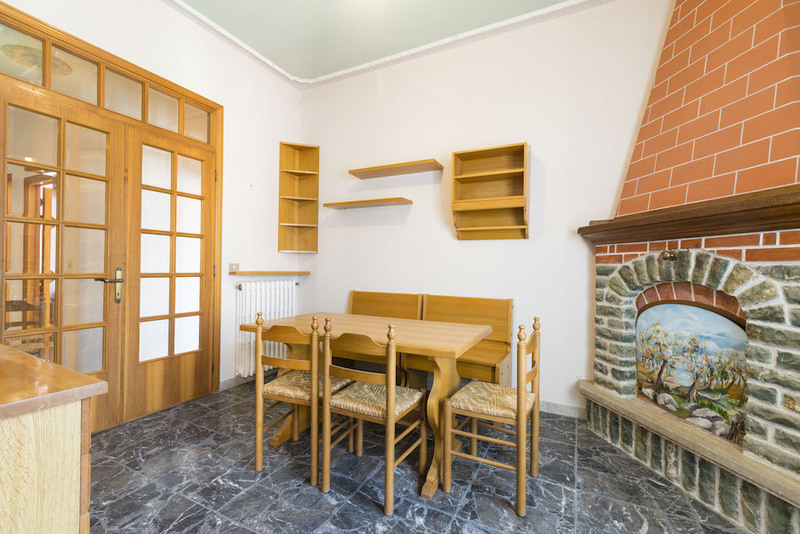 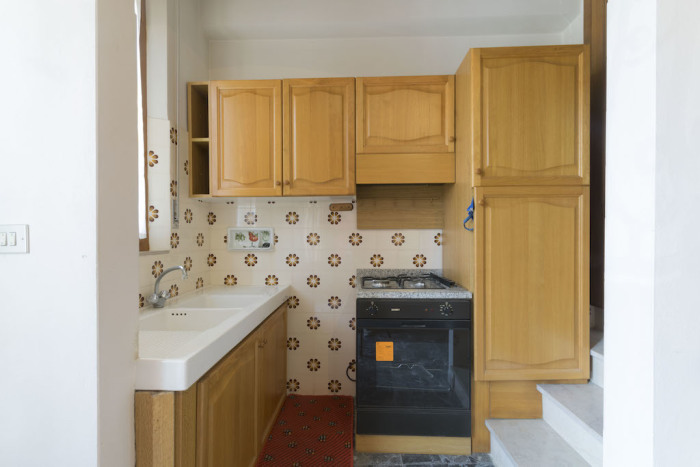 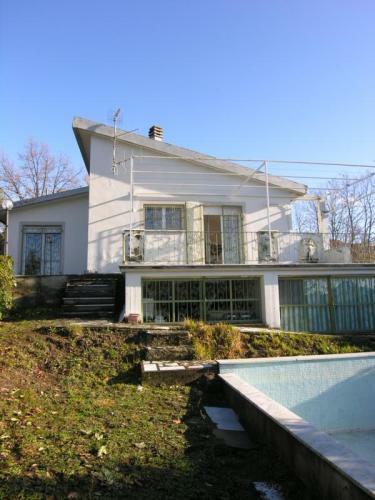 The house is located in a small and charming village with shop, bar, cafe and restaurant. The International Airport of Pisa, the seaside cities of Castiglioncello and Cecina on the Tyrrhenian coast, or the golf courses of Pisa and Castelfalfi, or the remains of Etruscan or historic towns, such as Volterra, are within 30 minutes drive. 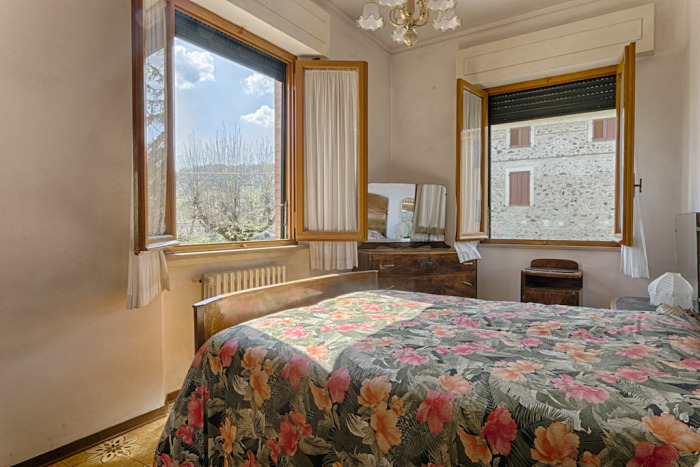 In the area you can do different activities: cooking classes, painting classes, italian language classes, tasting of wine, oil and other typical products, hill walking, Vespa tours on the hill roads, guided tours to the historical localities in the area, golf and lot more. Distances: Airport Pisa 43 km, Train Station Pontedera 20 km, Sea Cecina 35 km, Center Town 0 km, Firenze 80 km, Volterra 34 km, Siena 80 km, Lucca 49 km.